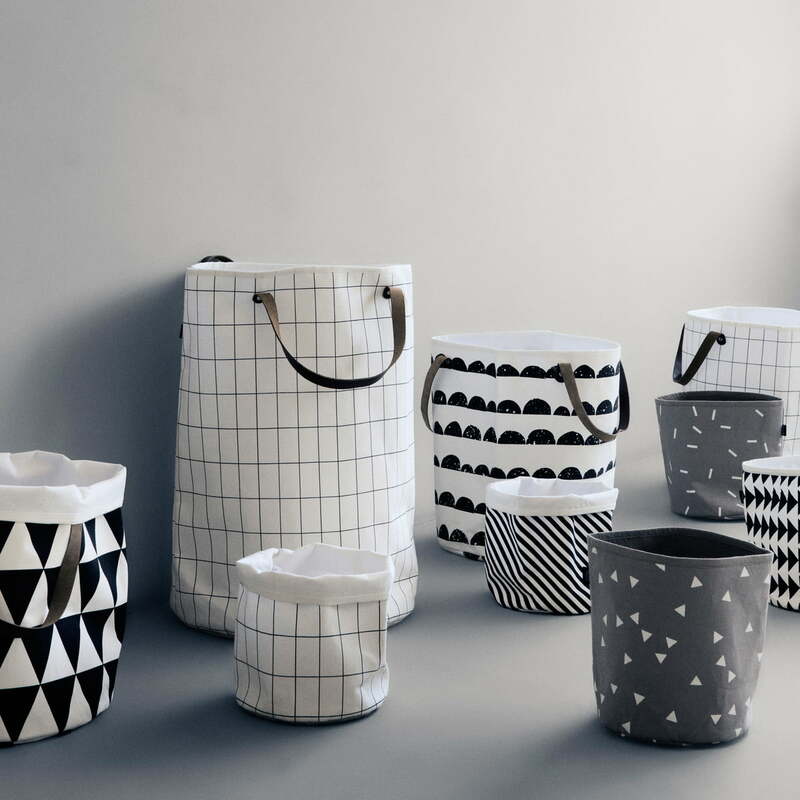 ferm Living draws attention to everyday objects with graphic features. The Grid Basket is one of a number of storage baskets for your home. It holds shoes, toys, laundry or cushions, encouraging tidiness. Furthermore, it is made of 100% organic cotton. 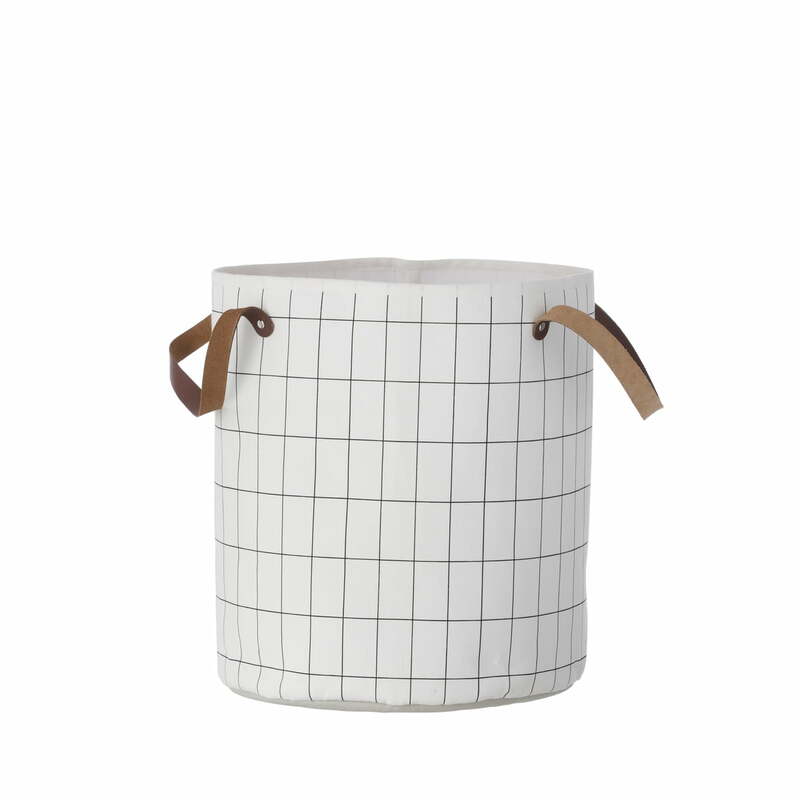 Individual details such as the leather handles on either side and the hand-painted grid pattern make the Grid Basket a real eye-catcher for your living room or the children’s room. Light stains can be cleaned with a damp cloth. It is also available in a larger version as the Laundry Basket.